The basic, very affordable Delta 75157 takes over our top spot in this year's shower head report. It's a great choice for those who don't need a lot of bells and whistles to get clean. However, if you'd like an upgrade, or prefer a handheld, we recommend the Moen Velocity and the Delta 75700. 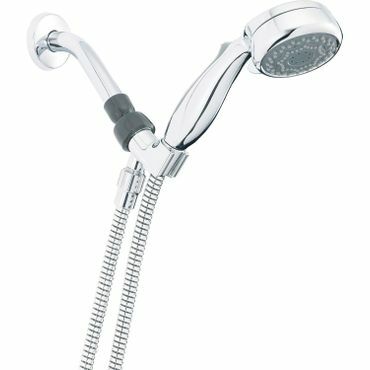 The American Standard 1660.717 FloWise Water-Saving Shower Head is a great choice for those who want a variety of water-saving options along with the ability to choose different shower "experiences." The three spray settings include a concentrated spray, a full spray and a combination spray. All can be adjusted to deliver water from 1.5 gpm to 2.0 gpm to help conserve water. Owners love its two finish options and say it's very attractive. The easy-to-install Ana Bath SS5450 Combo Shower System offers enough versatility and enough settings so that anyone can enjoy a "spa-like" shower experience. 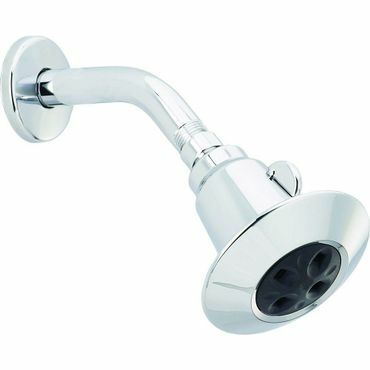 It combines two five-inch shower heads, one fixed and one handheld, both with a 2.31 gpm flow rate. Each shower head also features five functions, a saturating spray, massage spray, bubbling spray and two combination settings. It's also a top choice if you like to shower with a friend. In most states, shower heads are required to use no more than 2.5 gallons per minute (gpm) of water, which is significantly less than the flow rate of some older shower heads. However, if you want to save even more water, you can choose a shower head bearing the Environmental Protection Agency's (EPA) WaterSense label. Models with this label are guaranteed to use no more than 2 gpm and may be required in some areas, such as California, Colorado and parts of New York. As of July 2018, California will reduce its maximum flow rate even further, to 1.8 gpm. In addition, purchasing a low-flow shower head may qualify for a rebate that will defray much of the cost of the new shower head. 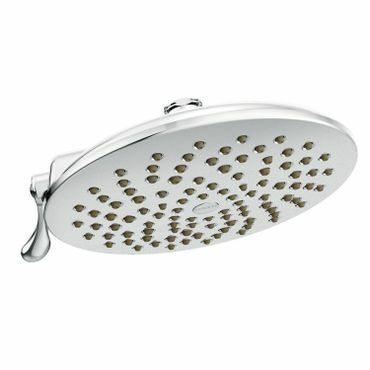 You can find out if your shower head qualifies for a rebate by visiting the EPA website. We recommend a showerheads that range from 1.5 gpm to 2.5 gpm in both the fixed and handheld sections of this report. 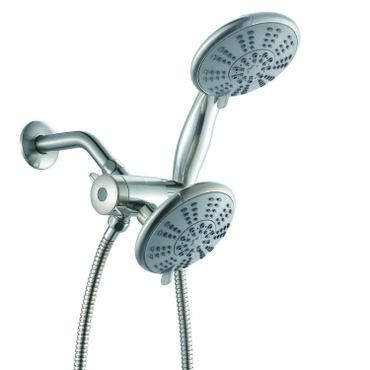 This type of shower head is the most common and can range from extremely basic, with just a single spray setting, to more sophisticated, with a variety of spray choices that you access by turning a knob or dial. Fixed shower heads are generally easy to install. More expensive models might be constructed entirely of metal, which makes them more durable than those with plastic components. They also tend to come in more finishes than less expensive choices. These are one of the hottest trends in shower heads. 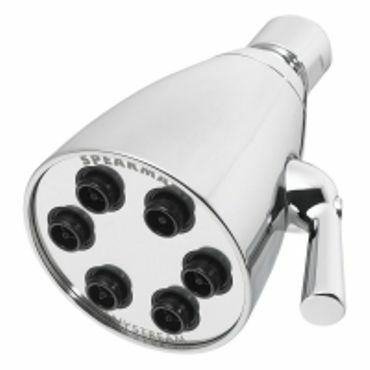 These can-shaped shower heads have broad, flat faces that drop water straight down onto the user to simulate rainfall. Many reviewers rave about the luxurious feel of this type of shower, but it's not for everyone. Most rain shower heads use the full 2.5 gpm allowed by law, and some people still find the flow too weak due to it being spread over such a wide surface area. Rain shower heads tend to be pricier than other shower heads, and installation can be more complicated, as well. 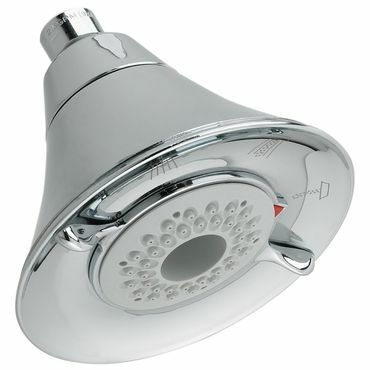 This type of shower head is a shower nozzle attached to a flexible hose. Nestled into a wall-mounted cradle, it can function just like a fixed shower head or be removed from its mount and directed onto particular parts of your body. Reviewers say they're also handy for washing kids or pets, and for cleaning the shower. Installation is straightforward; in most cases the flexible hose is attached in place of a fixed shower head. If you can't decide between fixed and handheld, you may like a dual shower head. Some dual shower heads combine a fixed shower head with a handheld one; others combine a regular shower head with a rain-type shower head or have two regular or two rain-type shower heads. The fixed shower head/handheld combination gives you the best of both worlds, while two side-by-side shower heads make it more convenient to shower with a friend. Most dual shower heads can be installed by a handy do-it-yourselfer. To find the best showerheads of all types, we looked at professional tests and expert reviews, especially those evaluations that include flow rate verification and other specific measurements, as well as hands on testing by more than just one person. The best of these roundups are done by editors at TheSweethome.com and ConsumerReports.org. From there, we consulted hundreds, sometimes thousands, of user reviews on sites like Amazon.com and HomeDepot.com for feedback on how these shower heads work in real homes, which gives great insight into long-term performance and durability as well. The results of our research is our picks for the best shower heads on the market, including low-flow, handheld and rain shower heads. One is sure to make your morning toilette a bit more refreshing. Delivers a strong stream of water.